Linux Mint 17.1 “Rebecca” KDE RC released! 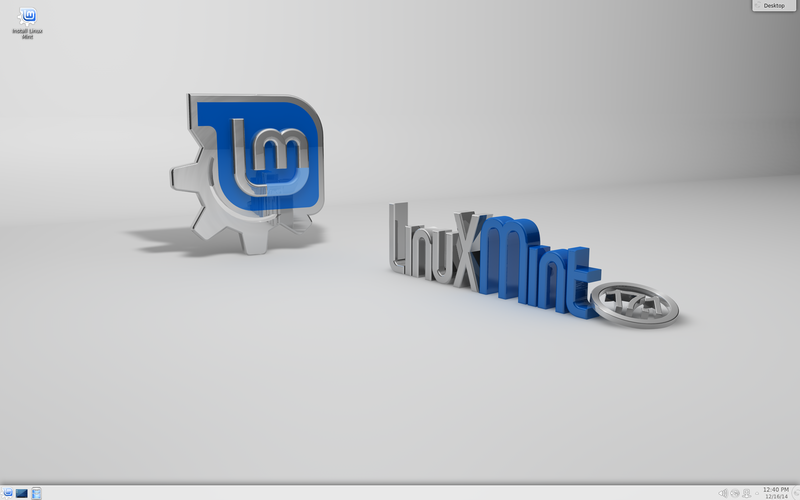 The team is proud to announce the release of Linux Mint 17.1 “Rebecca” KDE RC. For a complete overview and to see screenshots of the new features, visit: “What’s new in Linux Mint 17.1 KDE“. Previous Previous post: Linux Mint 17.1 “Rebecca” Xfce RC released! Next Next post: Linux Mint 17.1 “Rebecca” KDE released! I advanced an installer of KDE 17.1 RC. As a result, the installer required free space 10GB. The development member should update “10GB of disk space” to list in System requirements to bigger capacity than this thing. Congratulations Clem & team! Excellent work, as always! Here’s to a great 2015! Some people like KDE. This is good news for them. Thank you. Shame about the fonts on KDE, which is nothing compare to Cinnamon or Mate. Edit by Clem: This will become available after the stable release is out. I’ve installed a clean version with unformatted home partition from v17 and formatted root partition. Everything looks fine except cpu is getting too hot. acpi -t always shows 65 degrees and above. After opening a few chrome tabs it shows 75. I can hear cooling fans loudly. Good job, but why didn’t you all use KDE Frameworks 5? Edit by Clem: 5 is promising but not ready yet. At the moment the latest stable version of KDE is version 4. Great news about the KDE RC. I’m looking forward to updating my laptop from 17 to 17.1 with the new version of KDE. I do think Cinnamon keeps getting closer to KDE in terms of customization & overall functionality, but KDE is still the best desktop on Linux. 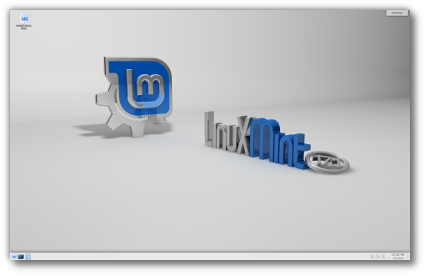 Thanks for making KDE available with all the great tools in Mint. Thank you, Mint Team! You’re hard at work, and as a client of your fantastic OpSys, I have some observations. 1. Great job on the roll out of 17.1 Cinnamon & Mate. I’ve had nothing but praise from my clients! From them to you, THANK YOU! 2. I know that Linux has a “All Ports Closed” policy, but do you think that you could make one exception? UFW. UFW needs to be enabled by default, and from my recent experience, after initial install, it is not. Can you change this? I hope that all of you have a Merry Christmas, Happy Holidays, and a Happy, Healthy, and Prosperous 2015! @Travis (8) – Probably due to KDE Frameworks 5 not being anywhere near stable enough yet. It’s still missing quite a lot as far as features, functions and application compatibility (meaning many apps still have the KDE 4 “look”). It’s also still a bit buggy. I’m running the latest “neon5” builds which run on a Kubuntu base and it still has a way to go yet. It will be good when it gets here though. @Kirk (9) That makes sense, I didn’t even think about that, to be honest. I am interested in trying Frameworks 5, so that’s why I asked. I’ll look into the “neon5” builds on Kubuntu then, to see how I like it. Thanks! Hello, when the final version will come with KDE? @6 – Karl – Have you tried turning on anti-aliasing and sub-pixel hinting? Thanks for the new version. Version 17 is quite nice. Will there be an upgrade path from 17 to 17.1, like there is for the Cinnamon version? Edit by Clem: Yes, when the stable release is out the upgrade path will open. Yes, under the preferences menu for software updates you can update to 17.1 KDE and XFCE versions just like Cinnamon and MATE. This is a release candidate though, so I am wondering if it is possible to update my Mint 17 KDE to 17.1 RC? Does anyone know if there is a way to do that, or will I just have to wait until 17.1 KDE full is released to upgrade? First of all, great distro! I tried 8, and Mint 17 is more simple and powerful then any others. But in 17.1 Rebecca, once downloaded and extract a package .tar.bz2, the file .sh (the shell) don’t run, not in the terminal nor directly run. The same file, in Mint 17 or in Ubuntu 14, run instantly. Edit by Clem: Hi Rico, make sure the file is executable (i.e. check its permissions). @16 – eco2geek – Thanks for the suggestion, but what I am on about is the lack of integration across the different applications like Firefox, Thunderbird etc. Under Cinnamon or Mate, I don’t have to do anything and it just automatically integrated well. I had installed LM 17.1 KDE 32 bit and it runs like a breeze. I have no problems with the CPU. CS:GO runs also very well and i have a little bit more fps than i used to have on win 7. The system overall feels snappier than the cinnamon version. Great! Thank you Clem and Team! Hi!how upgrade from 17 without reinstalling? @19- Karl: Try installing qtcurve-gtk and it’s associated dependencies from Synaptic. Then in system settings – application appearance – GTK set qtcurve as the GTK2 theme from the drop down menu. It’ll give Firefox etc. an Oxygen-like appearance that’ll blend in very well. I’ve been using this for about 3 days and I haven’t had any problems so far. I just had to manually install my GPU drivers as I’m using a GTX 970 which isn’t supported by repository drivers. you have to install the drivers (proprietary)! from kde you can uninstall what ever you want. system bien fait instalation facile à partir du cd. @Keith – I have a GTX 970 and encountered similar problems. The drivers that Mint and other Ubuntu based distros don’t support the 970 and 980 out of the box. You have to download and install newer nVidia drivers. Here’s the resource that I used to easily download and install them, and they work like a charm, very responsive. I don’t have 10G free space, so can I just install 17.1 over 17? Do I have a chance to format the 17 partition if I want? I tried a few steps but didn’t see anything like that so I dare not continue. Edit by Clem: Just wait for the stable release and you’ll be able to upgrade without reinstalling/downloading anything. My DVD burner is not working correctly at the moment and I am only now beginning to explore LINUX. I am running Mint 16 since Mint 15 wouldn’t recognize my older 32-bit tower, but 16 did fine. Is there a way I can upgrade my Mint 16 to 17.1 another way than the ISO file so I can go ahead an get it on my computer? That way I can go ahead and start using it in meantime until I can replace my cracked monitor and get a new DVD burner, because the burner I have also won’t recognize my 8.5 GB DVDs. Edit by Clem: Hi Scott, although it’s not recommended to novice users, yes it’s possible. You need to change your APT sources to point to Ubuntu trusty and Linux Mint Rebecca, after that you can perform an APT dist-upgrade. I’d recommend you learn about APT first and make a full HDD image backup so you can recover and start again if things went funny and you didn’t know how to fix them. Really great os!! switched from dual – boot Ubuntu, Ditched out windows 8.1. Even though I’m using cinnamon edition still saying thanks for hard work guys!! I LOVE LINUX, more KDE 17, now I enjoy Rebecca KDE 17.1 and MATE 17.1, are cool. Congratulations Mint Team, GOOD JOB! Thank you very, very much for your creation, ALL ARE THE BEST! THANK YOU! ALL THE BEST FOR ALL TEAM, KEEP GOING, I AM WITH YOU!!! Great RC release, but there seems to be a problem with CalDAV/CardDAV-Servers… If I create an event in KOrganizer, it only works once and then is broken (no syncing) until I delete the calendar and add it again. Installation of LinuxMint 17.1 Cinnamon 32 bit failed on my Dell 9150 Dimension with Windows XP. -warning: error fsyncing/closing/dev/sdc:remote I/O error . Retry did not help, so I ‘ignored’. -adaptation of the partitionvalue failed; a failure happened during writing. Changing partition is interrupted. Is it possible to uppgrade from RC to stable without reinstalling? I rebuild systems to give to underprivileged students and the elderly. I picked up a copy of 17 because it appeared to be most like Windows that these people will likely be familiar with. I attempted a dual boot on my own system so that I could become familiar with it and offer support. Big mistake. I disabled secure boot and enabled csm, as is required with EUFI bios and chose a partition of 200gb. The installer continually crashes and I am now locked out of my system completely except for running from the CD. I should have listened to my gut, as I was feeling uneasy about the install. I’ve found that everyone knows what their product is worth and “free” is seldom actually free. This is going to cost me several hours at the worst possible time, and “if” I can recover from this mistake it won’t be Mint that I use in the future. Releasing junk is irresponsible and I would warn any other Windows users here that if you have any problems you can expect to be transported to a universe where nothing is familiar and none of the instructions or terms will make sense to anyone except an experienced Linux programmer. The “easy” part is a false front that disappears as soon as the buggy code fails, at which time you will be required to gain a degree and learn a foreign language just to get your files back, if you ever do. But there is no “Edit->Upgrade to Linux Mint 17.1 Rebecca” option. Edit by Clem: That’s because Mint 17.1 KDE isn’t out yet (the RC is, not the stable release). you can also install it with the software manager. you can install 17.1 it over mint 17 and yes you can format the partition with gparted or in the install routine. take a look to System requirements! i wrote something for scott and alexas and stays in moderation. why?! I have a problem after installation and give username and password I can not log on. Is something having a problem like this? Grande distribution, felicitation au dev. Sur aspire one 0722 encore le meme probleme avec le reseau sans fil, demande de mot de passe a la sortie du mode veille. Meme si on met le mot de passe il le redemande. Doit deconnecter le reseau et reconnecter. J ai regle le probleme en installant les drivers du manufacturier. Sinon tout est nickel. Большое спасибо. Это самый лучший дистрибутив. Благодаря ему я меньше трачу время на настройку системы. Thank you very much. This is the best distribution. Thanks to him, I am less spend time configuring the system. and running this script from the command-line. a) not allowing the Display settings to change to Mirror Display without user input. b) always echo display confirmations to both displays. why dont we change this? I write this because I can’t get any kind of feedback to bug reports like this in any place (where should I place them??? Launchpad is completely ignored and there’s no place on GitHub for general Mint KDE bugs). In Mint 17 KDE, just like in Mint 16 KDE, it’s not possible to access digital cameras with camera:/ protocol in Dolhpin or in Gwenview (although this operation is the suggested one once you plug in your digital camera to the USB port). The camera protocol support is missing. The workaround is to install the “kamera” package, but it’s not easy to find out this information on the Internet. In Mint 16 KDE there was an additional problem: the camera protocol was then usable only as root. Fortunately, at least this has been fixed in Mint 17 KDE, but the overall experience is still poor on this front. That’s because this is a RC (Release Candidate). The full, final 17.1 KDE has not yet been released. It will be soon. I will agree that a stock Linux install is not that aesthetically pleasing. But it’s so configurable. I Have Kubuntu 14.04 installed at the moment with the Diamond Theme & Borders, Glacier colour scheme, & wobbly windows enabled. My Windows 7 install doesn’t even come close no matter what I do. First off, thanks for all of the hard work the team puts in to consistently produce the most stable, reliable and efficient Ubuntu-based KDE distro out there, release after release. It’s truly an unsung hero. Secondly, a bug report for this RC: When running the live system it sees and connects to my wireless network (WPA2/PSK) with no problems and installation proceeds normally. On reboot, it fails to connect to the same SSID — just keeps attempting to connect and asking again for the password. I reinstalled and the bug was reproducable. It does not appear to affect Mint 17 KDE however; just 17.1RC. I wonder if it might be related to the new KWallet integration. Edit by Clem: Hi Aaron, the live session is volatile.. I mean, what you do in it isn’t necessarily kept past reboot. The installer doesn’t duplicate the live session, it duplicates the installation image the live session uses to spawn itself.. In the live session you aren’t even Aaron, you’re the “mint” user. As such I’d expect your wallet post-install not to know about your Wireless password, and to only remember it once you told it, post-install, as the aaron user.